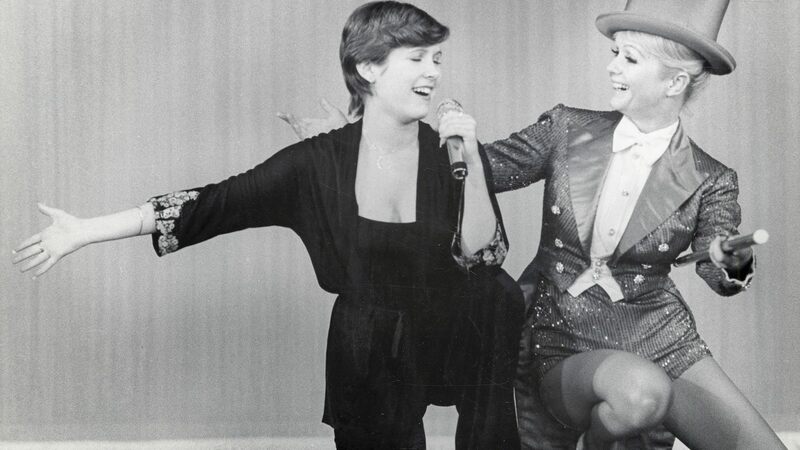 Just weeks after the surprise deaths of mother-daughter duo Debbie Reynolds and Carrie Fisher, the soul-stirring HBO documentary "Bright Lights" moved audiences to laughter--and tears--at the Palm Springs International Film Festival (PSIFF), where it played to a packed house earlier this week. Other screenings of the deeply moving endeavor, directed by Alexis Bloom and Fisher Stevens, are on the festival roster, but Wednesday night's screening was shrouded with intrigue and empathy for a number of reasons. 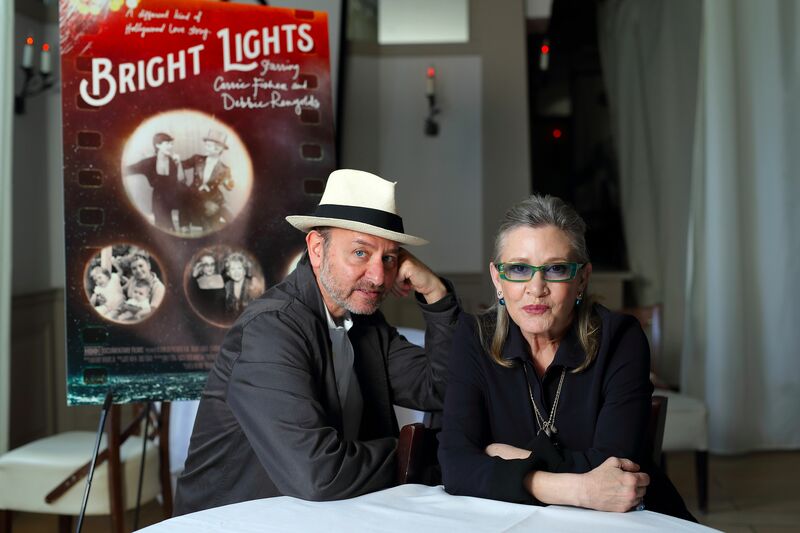 For starters, it was one of the very first times people gathered en masse to view "Bright Lights" after the passing of Fisher and Reynolds last month. Fisher died on Dec. 27 from complications of a heart attack (she was 60); Reynolds died of a fatal stroke one day after her daughter (she was 84). Twist of fate or divine timing, the loss of the two famous entertainers left Hollywood and fans stunned and heartbroken. The PSIFF screening morphed into a rare opportunity for a large group to celebrate the lives of the famous performers. "We obviously programmed [the film] at this festival when Carrie and Debbie were alive," co-director Stevens told the crowd prior to the screening. "Debbie loved Palm Springs, and there are a couple of shots in the film of Carrie and Debbie here. Obviously, there has been a big turn of events, but we felt it was important to still screen this." Stevens went on to say that he didn't change a frame in the doc since the legends' deaths. "We were shocked and devastated," he went on, "but I don't want to get emotional right now." As the documentary unraveled, it became evident that the audience was more than a traditional biopic. No. This was a different kind of love story--a positively unique one shared between a mother and daughter, two consummate performers with equal parts wit and charm. Sired from an original idea that Fisher, the famed "Star Wars" actress and "Wishful Drinking" author--had several years ago to document her relationship with her mother, the end result does several things very well. It illuminates why Reynolds maintained her celebrity beyond her breakout film "Singin' In The Rain"--style, grit, class--and it also gave us a closer look at the inner workings of Fisher, whose sense of humor, struggles with mental illness, and devotion to her mother shined through brightly. That the doc manages to capture the rare symbiosis the two women shared is an achievement. In the hands of other filmmakers, we'd be inundated with a gaggle of "talking heads." Not here. "They're just performers through and through," noted "Bright Lights" editor Sheila Shirazi on the red carpet prior to the screening. "If you look at old footage, they're always singing showtunes, singing around the piano together. They really were dyed-in-the-wool showbiz people." Asked what challenges she faced while compiling, literally, an auditorium-sized vault of vintage home movies kept by Carrie's sibling Todd Fisher, Shirazi says: "I think the temptation when you are making a movie like this is to get bogged down in the details. You want to tell everything about their fascinating lives. We really chose to focus on the relationship, keeping it focused on the present while touching on the past to help you understand the larger context for their relationship." Judging by the roar of applause by the time the credits rolled, it's apparent the filmmakers managed to capture it all effectively. In the meantime, as Hollywood still mourns the fading of these two magnanimous stars, the numbers have been tallied over at HBO, where "Bright Lights" premiered shortly after the stars' death: An impressive 1.6 million viewers tuned in. Co-director Fisher Stevens (left) with Carrie Fisher.